America is not the greatest country in the world when it comes to paid leave for workers. While every European country has at least 20 days paid leave (not including holidays) and some going up to as many as 25 days, America has no statutory annual leave entitlement. Obviously we still have paid leave but it’s a miserly average of 10 days (not including holidays) according to the Center for Economic and Public Research. Yes, 10 days. Come on America, we can do better than that. So about two years ago, we set out to revamp the expectations on paid leave by instituting a 28-day paid leave policy (not including holidays). That’s right, France, Sweden, and Denmark, we bested you by three days. Here is a biased review of this policy after about two years. There were three main reasons we decided to implement our 28-day paid leave policy. First, we are a young company and we want people to be able to see the world. Yes, so they can experience new people and cultures, but specifically so they have a worldly perspective on things. How do people behave, communicate, and make purchases around the country and around the world? Second, we saw this as a huge company perk and recruiting talking point. We could entice new employees with something unique other agencies didn’t have. Third, we would cut down on the administrative time and costs to track, monitor, and regulate every single time someone needed a day off. Those were the three big benefits we thought we would get out of this new policy. The first challenge we encountered was implementing this policy. People are so accustomed to not taking more than 10 days of vacation that we had to make a conscious effort to help people realize it was ok to take that time off. So we made sure that all the senior people took as much vacation as possible. In fact, the first year we implemented the policy the senior employees took the most amount of vacation. This demonstrated to the rest of the agency that it was, in fact, ok to use your available time off. The second challenge we faced was adjusting our agency rates. Those of you business owners or CFO’s probably already realized that decreasing the number of hours employees were available to work annually meant increasing the rates of our agency. Yep, a whole 8% increase. Not a lot in the grand scheme of things, but it was something we had to incorporate into our agency. The last challenge we faced was communicating the value of the paid time off to people when they tried to compare us to other agencies. This comparison mostly came up when negotiating salaries. Employees would look at Glassdoor or Salary.com and say “Hey, I should be making X dollars and you all are only paying me Y.” Communicating to our employees that they can’t do a straight apples to apples comparison to other agencies was especially difficult for the less experienced employees. More senior employees never had an issue with it and definitely saw that 28 days of paid leave was extremely valuable. Most of the time it simply took us sitting down with the employee and explaining the value of their total compensation and not simply the salary. Eventually they got it and were happy. Looking at the data for the past year, June 1, 2016 – June 1, 2017 there are some very interesting stats. First, people still didn’t use all their time off, but they came close. On average employees only used about 61.8% of their available PTO, or 17 days of vacation. At 27 days, the person who used the most vacation time was one of the partners. At 1.5 days, the person who used the least was another partner. Second, employees didn’t take 28-day long sabbaticals. There were definitely some long vacation periods of a week or two, but for the most part the time off was evenly distributed throughout the year with 2 days being the average leave amount. Third, our employees only took 1.7 days off due to illness compared to the rest of the US at 4.9 days, according to PwC (formerly PricewaterhouseCoopers). We communicated that when people felt sick they should not come into the office. 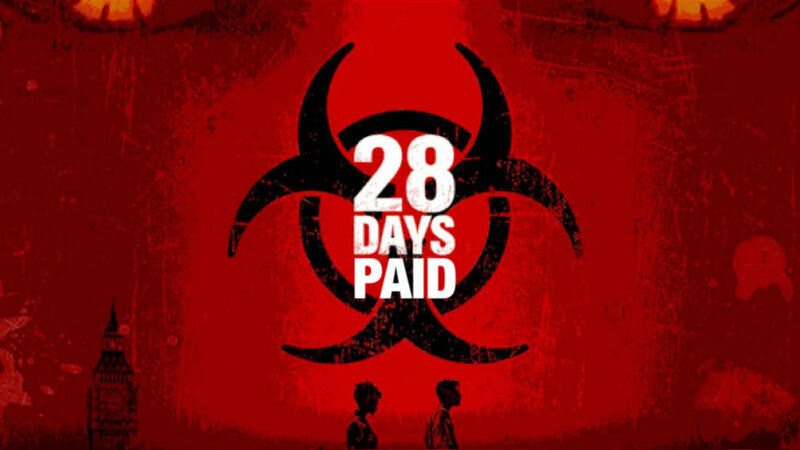 With 28 days of paid leave, most of our employees adhered to this request and (this is only our theory) prevented the spread of viruses to other employees. Doesn’t that make perfect sense? We think every employer should look at raising their standards when it comes to paid leave, but understand that this kind of policy might not work for everyone. However, there are some reasons we think it works for us that might apply to your business. First, we try to hire very motivated and high-performing employees. We feel these types of people are always going to give you their best no matter how much paid leave you have. Second, we are in a creative environment and good creativity works in highs and lows. There are periods of time when we all need to be “on” and generating great creativity followed by lows where we need time for our brains to rest. Trekking along at a paced effort always generating mediocre creativity is what you get if you never take breaks. Lastly, people are motivated by more than just money in today’s workforce, but this especially applies to creative people. A recent survey by Glassdoor revealed that 79% of US employees would prefer a perk like more vacation days over a pay raise. Creative people want to do great work. Their work is an extension of them. So if you can provide a great environment for them to be creative and also allow them to take time off to find great inspiration for their creativity, that’s incredibly valuable. So there you have it. That’s a quick overview of how our “generous” vacation policy has been playing out thus far. We think America can do better than what’s currently acceptable. So come on, let’s make American Paid Leave great again. If you have any questions on implementing a similar policy or have any experiences from your own policy you want to share, we’d love to hear about it.